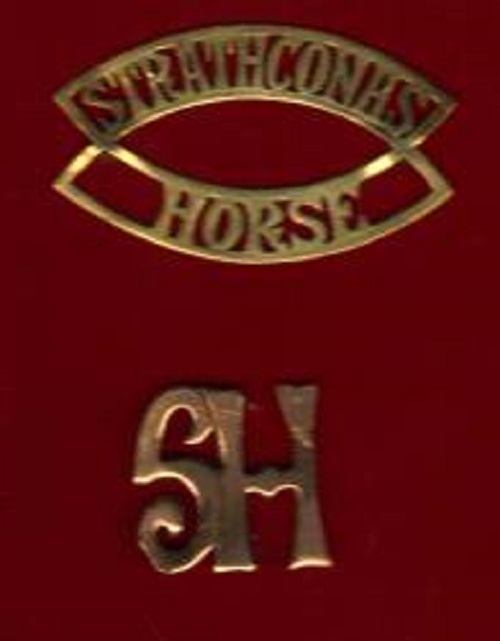 From October 1909 till 1912, the Strathcona's asked many makers to make the Regimental badges, which caused many differences in construction and work provided . From the scroll, to the wreath that surrounds the main shield, it can be seen that each maker changed small portions of each style. Many are not marked, and have been hard to track down to make complete sets. Here is a small collection of them, getting ready to put them all together for display. 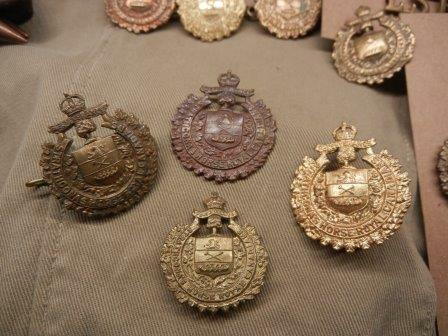 Many were still issued to troops right up to late 1916, once the stocks ran out the new 1912 style badge was issued. Anthony, that's a very nice collection you have put together. You should be very proud of what you've got. 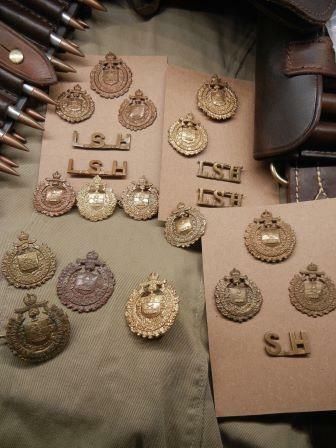 Very nice..what type of shoulder title was used with the first cap badge, was it SH? 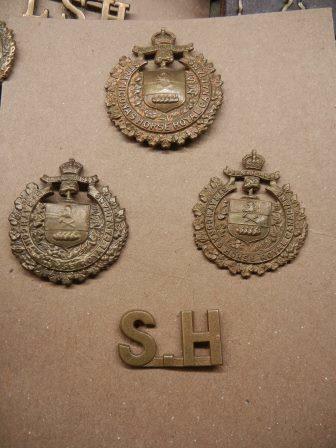 Tankermike wrote: Very nice..what type of shoulder title was used with the first cap badge, was it SH? 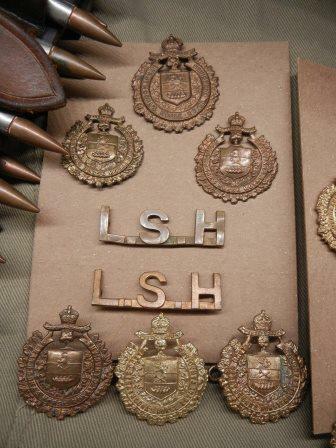 The ones that Mike has posted from his collection , are 2 other versions, top is credited to officers, bottom was issued to Nco's with 812 of them being made, the last known version, which was made on board the SS Montaray, is seen here in a photo from the Regimental Museum. The Q-master will issue at once the letters "S H" for the shoulder straps and the badges for the collars and service caps. 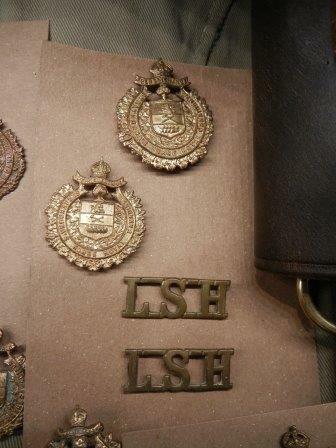 The letters "S H" will be placed on each shoulder strap, One (1) inch above the seam and three-eights ( 3/8 ) inch apart. The badges will be placed on service caps three (3) inches from front seam and one (1) inch above the seam on the left side. 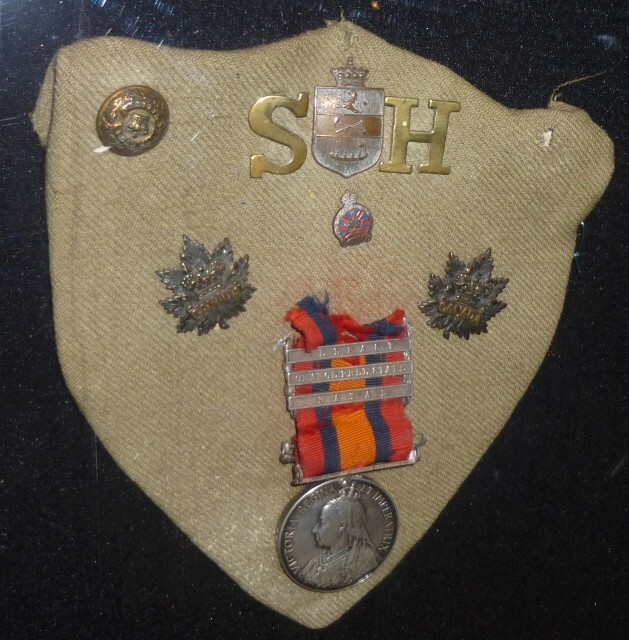 The badges on collar of Rifle Green Serge, one (1) inch from the edge of collar on either side.